To create your first Roundme tour, you only need a Roundme account and 360 degrees images to upload. If you don’t have a Roundme account yet, you can learn how to create a new account here. Please make sure that your 360 degrees images fit the image requirements. You can find the image requirements here. Drag&drop your panoramic images anywhere on the screen or use the ‘browse’ option to find them on your device. After files are successfully uploaded, they are processed on our server and your panoramas are ready to be browsed and customized. We recommend you to fill in the basic info about the tour (Tour Title and Description, tour location on the World map) right away. Of course you’ll be able to update them later in the Tour settings. 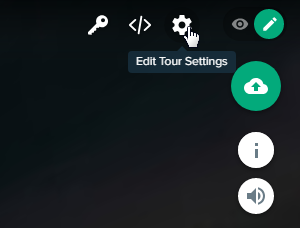 You can customize your tours using special markers (Hotspots, Portals), adding directional sounds and locating your panoramic images on the map.